Don't be too hard on yourself, check out the way that I spelled "based" in the title! Ferd45231 give it a try. The hardest part of Terrain building is starting. You can only get better by doing. As a famous muppet once said. I wanna play at your house! 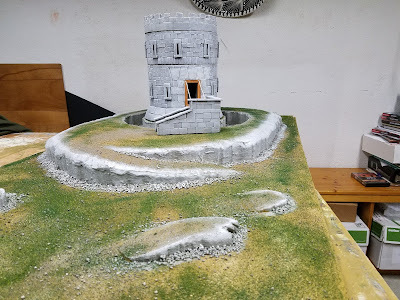 Thanks everybody for the kind words, I'm never sure with terrain how it is going to work out, I don't work to a plan and sometimes it just ends up a mess.